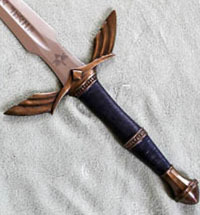 Fantasy swords, being products of the imagination, naturally come in all kinds of wondrous shapes and sizes. 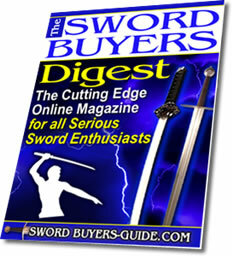 However, scratch below the surface - and sort through all the junk - and you can divide fantasy swords into two main categories: high quality display swords and functional fantasy pieces. 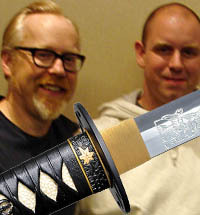 Both of these are quite rare in the sub US$300 price range, but they are there if you know where to look. 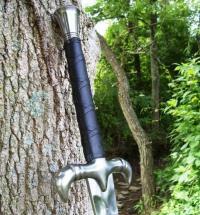 An example of a typical cheap fantasy sword with a classically bad spot welded 'rat tail tang'. 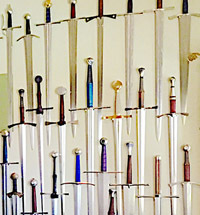 Unfortunately many of these swords look OK when they are photographed (in one piece) for the web, but are a major disappointment when you get them in your hands. 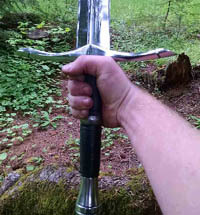 And like many cheap stainless steel swords, the biggest problems with these swords is that they are constructed very poorly, often with loose (or soon to be loose) rattling hilts, fragile and/or brittle blades (that can sometimes be sharpened - which is not only a bad idea - but potentially lethal to the wielder if used!) and a complete lack of attention to detail. 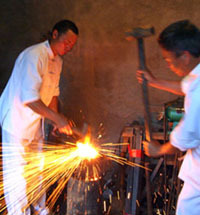 Fortunately, you don't have to pay a huge amount of money to dramatically improve the quality. 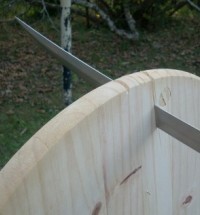 While the number of quality decorative blades is much less than the 'piles of crap' you can pick up for $20, there are some that stand head and shoulders above the rest. But there is one name that comes up time and time again, Kit Rae. 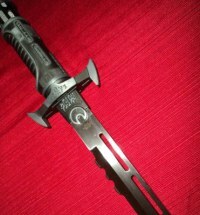 Kit Rae, in conjunction with United Cutlery, has been a designer of decorative fantasy swords and knives since 1984 and it is his designs that are the most commonly imitated with cheap knock offs. 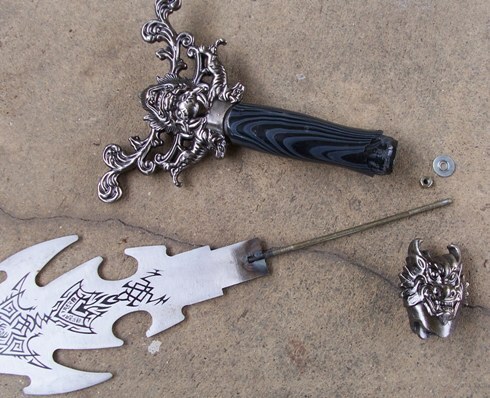 Anyway, Kit's work creating fantasy knives, swords, axes and other hand weapons has a certain distinct flair and flavour - with an attention to detail that is extremely rare at this price point. 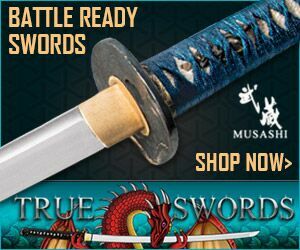 Despite this though, truly practical fantasy swords are very rare in the sword market, though most of the major manufacturers of historically inspired battle ready swords make one or two each. 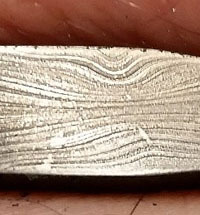 Part of the reason for this rarity has to do with design constraints. 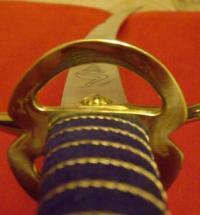 In other words, many of the typical blade geometries depicted in fantasy simply don't work in the real world. 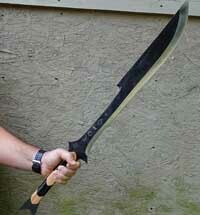 Hand made in the USA by Chris Palmer, Scorpion Swords are some of the toughest short swords around. 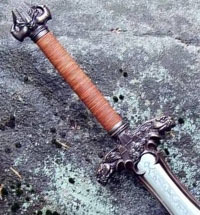 Many are inspired by popular TV series, movies and video games - but here is one of our own creation, designed by a SBG member - the Goblin Sword which was part of a now discontinued project we attempted to add more options for collectors of functional fantasy swords. 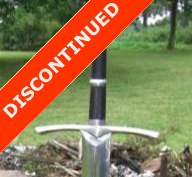 While the project was discontinued, the swords made by Scorpion Swords are still available - read the review below to get an idea of what to expect. 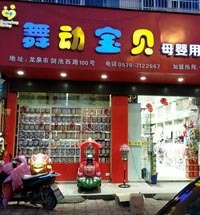 However on the bright side, there are still several designs that have withstood the test of time. And many more that have either just come out or are around the corner. 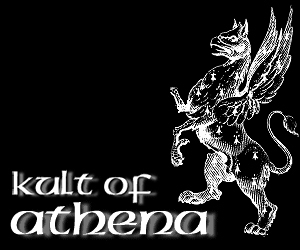 The majority of their fantasy designs are based on either role playing games such as Dungeons and Dragons (ah, memories of a misspent, proudly geeky youth!) 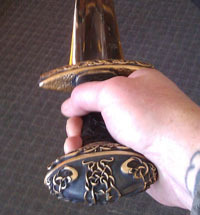 or official replicas based on books such as the Heron Mark from the wheel of time. Below are some reviews of some classics that are still in production. 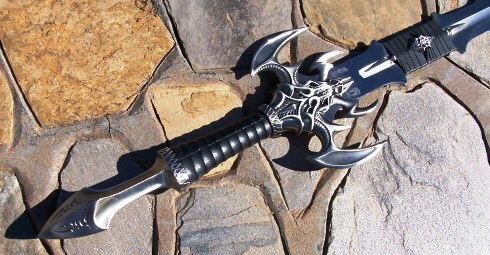 Windlass Steelcrafts Twinkle: From Forgotten Realms, the dark elf sword of Drizzt Do'Urden and the twin sword of Icingdeath had a funny name, but was the better of the two. 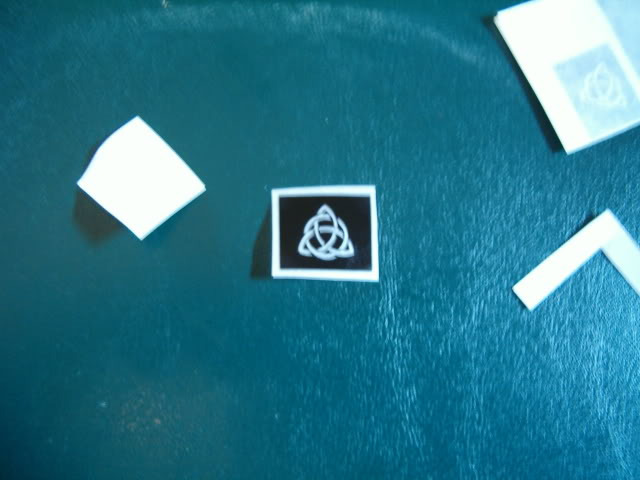 And despite some misgivings, I did like it quite a bit. 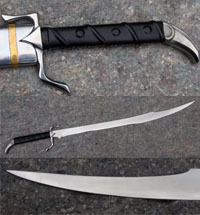 While Hanwei only really have one sword to contribute to our functional fantasy line up, it's arguably one of the best (and the cheapest around). 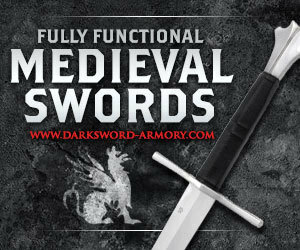 When it comes to a solid variety of a tough fantasy blades, Darksword Armoury pretty much have the market cornered at the low to mid price point. 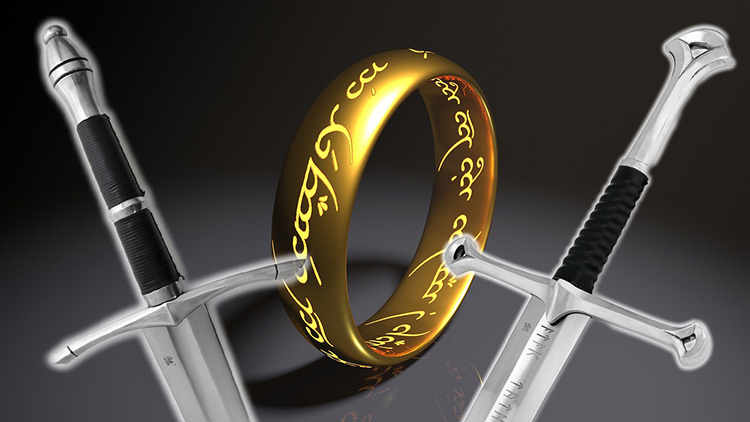 Over the years, they have refined the models they offer, and are the only company to offer fully functional versions of the LoTR Ranger, Anduril and Witchking swords, plus some of their own unique fantasy designs. 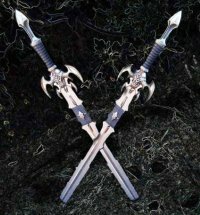 Darksword Armory Anduril: The earliest version of the Anduril sword and the original battle ready version and has been significantly upgraded since this review was first done - but even so, it did pretty well before the upgrade..
Darksword Armory Ranger Sword: Like the Anduril, this version has also been significantly upgraded and this generation retired. 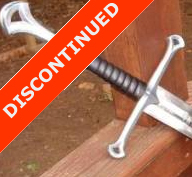 But also like the Anduril, it wasn't all that bad to begin with.. 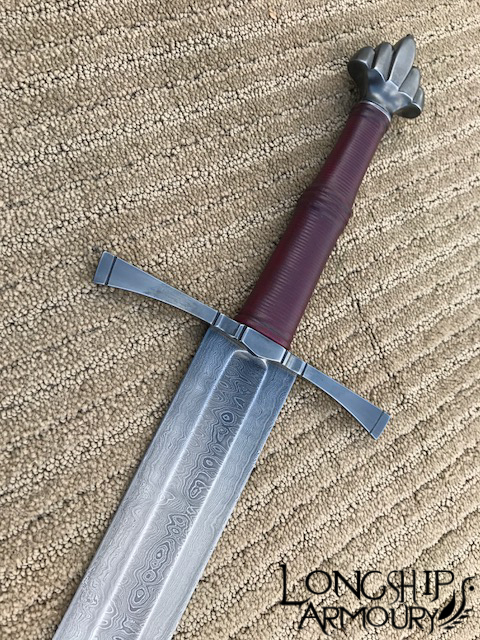 Yes, the ONLY battle ready versions of the Lord of the Rings inspired Anduril, Ranger Sword and others are available again from Darksword Armory - new and improved, and fully sharpened! 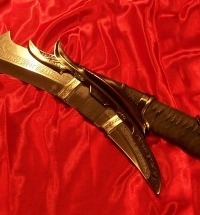 Many of the best custom made swords are original fantasy designs. 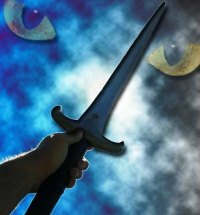 From names such as Jody Sampson, Michael 'Tinker' Pearce, John Lundemo, Brendan and Jeffrey J Robinson just to name a few - all make original, highly detailed and beautiful Fantasy swords from their own rich imaginations. 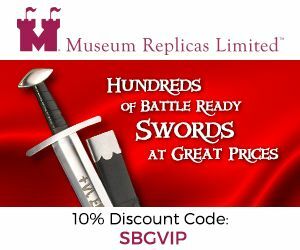 The prices for swords like these are understandably in the thousands and wait times - both on waiting lists and waiting for the sword to be completed - is often close to a year or more.. But as you will see, they it is oh so worth it.. 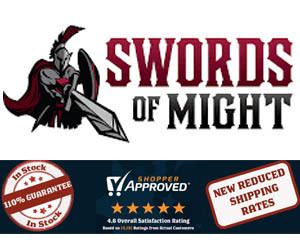 Recently we teamed up with one of the best sword designers and makers in the USA - Longship Armoury - to create a Fantasy Viking Sword that is truly in a league of its own..
Made from the best modern steels around combined with ancient Norse pattern welding Damascus, it truly has to be seen to be believed. 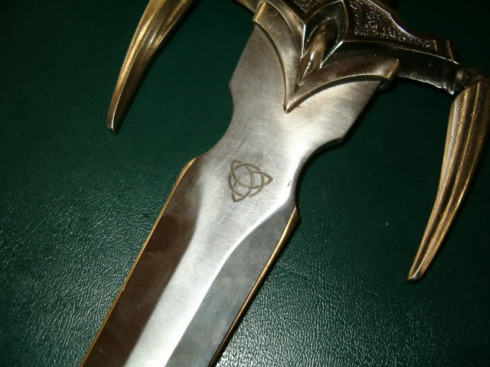 You may be interested in a tutorial on how to turn the BLADE of ANY sword into a fantasy style runic engraved piece with our guide to electro chemical etching that you can use to add a decorative pattern to ANY blade using vinyl stencils!